RUKUNGIRI: The Central Executive Committee, the top decision making organ of the ruling National Resistance Movement (NRM) party, will soon convene to discuss the outcome of the Rukungiri District Woman MP election. 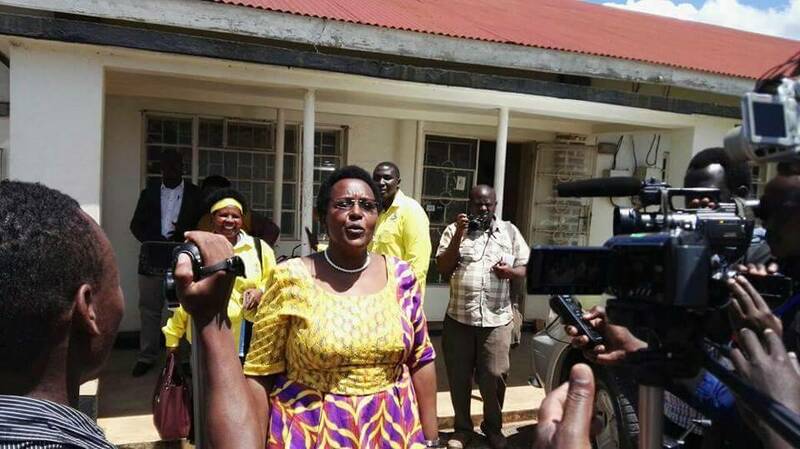 The party candidate, Winnie Masiko lost the repeat election to FDC’s Betty Muzanira on Thursday. And according to the NRM’s communications director, Rogers Mulindwa, the party will meet to discuss the way forward. “We –represented by Winnie Masiko – balloted 46,379 against FCD’s Betty Muzanira’s 50,611 votes. The Secretary General, Rt. Hon. Justine Kasule Lumumba, will shortly table these results before the Central Executive Committee (CEC) for further administrative guidance,” said Mulindwa in a statement released on Friday. It is not clear whether the party intends to appeal the election results after some party members earlier alleged that there was rigging and ballot stuffing. Mulindwa thanked NRM members within and outside Rukungiri for their joint effort in the election. The hotly contested Rukungiri by-elections saw NRM and FDC party bigwigs pitch camp in the areas to offer undivided attention throughout the controversial campaigns. He, however, expressed concern that some party members chose to support other candidates not the official flag bearer. “We continue to express dismay over the errant party members who opposed the official party position and never walked the journey with us. NRM lost the race but there are good signs of winning the bigger battle in this area in future. Our support in Rukungiri district has continued to grow into a fertile ground for hope in the future elections,” Mulindwa said. He also said despite the party losing the Rukungiri seat, it has been winning other by-elections countrywide. “Of the 36 by-elections, NRM has won 27, FDC 2 (Jinja East & Rukungiri), DP 1 (Kyotera) and the remaining 6 slots have gone to independents. This performance is evident that NRM is the most treasured political party in our country,” he added. This is the second by-election in a space of two months that the ruling party is losing, having lost the Jinja East MP seat to another FDC candidate, Paul Mwiru in March.